Get used to the idea of Microsoft embracing open source, states Enterprise Cloud News (Banking Technology‘s sister publication). If you’ve been around the industry for a while, you remember when Microsoft’s then CEO Steve Ballmer said open source is “cancer”. That was in 2000. Fast-forward to today, and Microsoft is a “deeply open source company,” says Microsoft Azure CTO Mark Russinovich. “We strongly believe in the philosophy of open source. It’s a community,” Russinovich told Enterprise Cloud News in a short but wide-ranging one-on-one interview that also covered Microsoft’s views on edge cloud computing, blockchain and more. Microsoft uses open source in its own products, and contributes code and resources back to the community. “If we’re going to take from the community and build our solutions on it, we are going to contribute back anything we do with the technology,” Russinovich says. Microsoft endorses open source in several different ways, Russinovich says: Microsoft enables open source on the Azure cloud, ensuring open source software runs effectively through partnerships with Cloud Foundry, Red Hat and other open source companies and organisations. Microsoft builds its technologies and services on open source, Russinovich says. Azure Data Lake Analytics is based on Apache Hadoop YARN, and Microsoft contributed code back to YARN. Microsoft released the .Net Core, Visual Studio Code and PowerShell to open source as well, he adds. 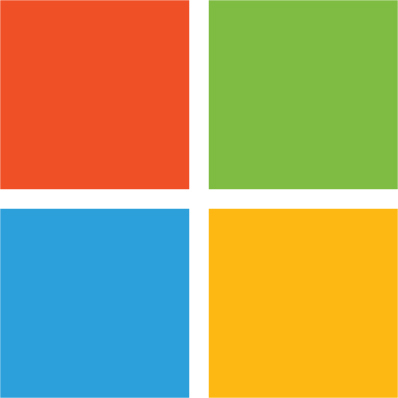 And Microsoft is a Platinum member of the Linux Foundation and the Cloud Native Computing Foundation (whose projects include Kubernetes) and a Gold member of Cloud Foundry. Microsoft views edge computing as an opportunity for Azure. Businesses need to write applications that can move from the cloud to the edge and back, managed the same way using the same tools, no matter where they run. Microsoft Azure Stack is important to that strategy, particularly on the factory floor, “a massive IoT scenario”, according to Russinovich. Azure Stack is an instance of the Azure cloud that runs on on-premises server. Azure Stack needs to operate autonomously, with or without a cloud connection, because cloud connectivity sometimes goes down but factories and other IoT deployments need to continue running, Russinovich says. “We see blockchain applications in every single business that we look at, every single vertical,” Russinovich says. Microsoft is seeing companies look to private blockchain to connect and keep track of interaction within departments, providing an immutable, distributed ledger of transactions, he notes. Consortia of businesses can use blockchain to track transactions between them, eliminating the middleman and reducing the risk of fraud, he says. And “smart contracts” code that runs on top of the blockchain – provides a foundation for distributed applications. Microsoft is running multiple blockchains integrated with higher-level Azure services, including using cryptographic keys to authentication to the blockchain, integrated with Azure Key Vault and authenticated identity. Microsoft contributed the Coco framework, a blockchain framework, to open source in August last year. It is partnering with industry on blockchain projects, including Maersk for maritime insurance in conjunction with Ernst & Young. Microsoft also has a project for digital identities in conjunction with Accenture. Microsoft was a leading enterprise technology company in providing blockchain to business, second to IBM, according to a recent survey from Juniper Research.